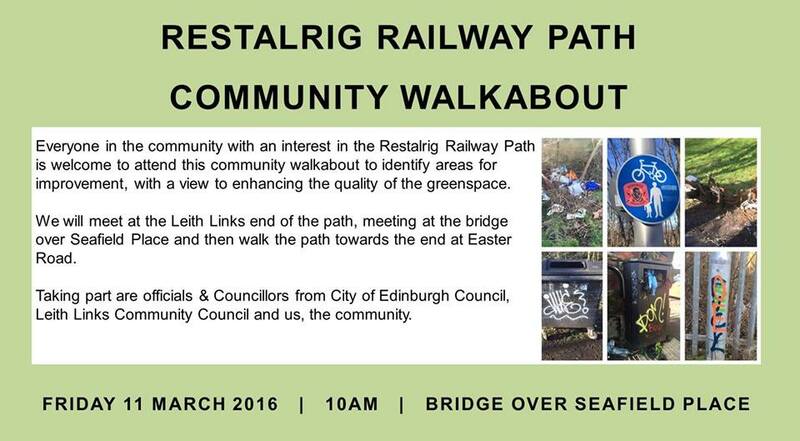 This event is open to all with an interest in the path, even though it pretty much all falls into Leith Links CC’s area. Leith Central CC is very interested in any findings and outcomes. This entry was posted in News and Events and tagged Clean up, Community engagement, conservation, Environmental issues, Public events. Bookmark the permalink.